Good day from wherever in comfort you are reading this from. Post here’s just to keep you updated on the club as we prepare for the visit of Leeds United in the FA Cup on Monday. 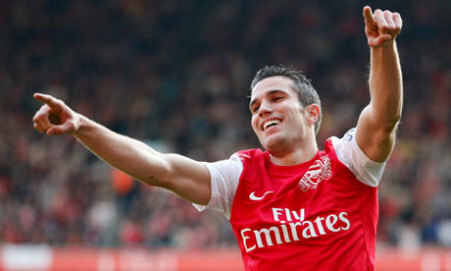 From everly being on the sidelines crocked with one injury upon injury, captain vantastic Robin van Persie played the most minutes on the clock for Arsenal in 2011. According to stats provided by Opta, the flying Dutchman put in 3,132 minutes to the Gunners’ cause over the last year, a massive feat in his career knowing his history. 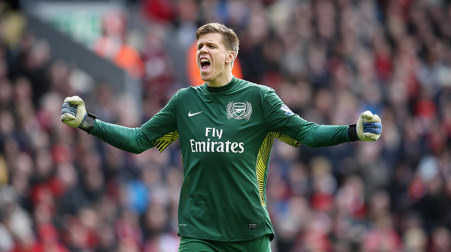 And to underline how much he’s matured over the last dozen months, goalkeeper Wojciech Szczesny was second on the most minutes in 2011 list, putting in 2,970 minutes between the sticks after only playing just once in the first team before then… Lukasz who? What is a Manuel?? Yea… I thought as much. Coming in at third place is French centre back Laurent Koscielny who has grown from Ligue 2 defender almost four years ago to the Premier League’s most consistent performing defender with 2,896 minutes of football for Arsenal to show for it. Meanwhile, the yellow card erroneously shown Thomas Vermaelen in the win over QPR has been transferred rightfully to LK6. Vermaelen on his part will be unavailable for Monday’s visit of Leeds through injury as will RvP, with the captain set to be rested by Le Boss to allow for Chamakh and Park Ju Young to feature upfront. Club legend Thierry Henry could feature only if the club and New York Red Bulls decide on when Titi’s loan should end. The Yanks want him by February 20, we want his last game to be at home to the Sillywhites on the 26th… sort that out quick gentlemen. I’ll leave the rest of the team news for the match preview. As for the transfer window, Arsène Wenger stays being the get-on-my-nerves ideologist, doing well to not hint who he’s really after though he did mention the injury situation at the back will require bringing in a defender on loan. Other than that, “only clubs not tied to the present economic situation in Europe can spend”… ok le Professeur. Have a splendid weekend, from us here at MG.
Good day from wherever you’re reading. Well as you already know there’s no Premier League action this weekend owing to Euro 2012 playoffs, 2014 World Cup qualifiers and a queue of international friendlies. With just about the whole first team away on international duty, except most notably Mikel Arteta, here’s a quick round-up of how most have fared so far bearing in mind there are more matches still to play before returning to Colney. Park Chu Young scored for South Korea AGAIN. Well, I guess that’s not news considering his International form. Meanwhile, in a playoff match for a spot at Euro 2012, Czech captain Tomas Rosicky led by example with a sterling performance for the Czech Republic with both assists in a 2-0 win over Montenegro in Prague. Wojciech Szczesny had a busy game and conceded two well taken goals from the impressive ‘why always me’ and Gianpaolo Pazzini as Euro 2012 co-hosts Poland fell to a 2-0 defeat to former world champions Italy. Skipper Robin van Persie meanwhile fired blank along with his Oranje mates as Switzerland held a wasteful Holland to a goalless draw. Elsewhere, Laurent Koscielny earned his first cap with the French national team in a 1-0 win over the United States in Paris while Thomas Vermaelen was involved as Belgium beat Romania 2-1 in a match that saw Razvan Rat miss a last minute penalty for Romania. Andrey Arshavin’s Russia played out a 1-1 draw with Euro 2004 winners Greece while Alex Song’s Cameroun won 3-1 at home to Sudan in some of the other friendly matches played on Friday night. No injuries to report so far… thankfully, as we look forward to world champions Spain at Wembley against England, while on Tuesday night Robin van Persie’s Holland face bitter rivals Germany in the top pick of upcoming matches involving our players. That’s your lot for today. There’s really nothing happening besides the Internationals. Oh! PHW says that there will be no contract talks with Van Persie until the end of the season. I wonder what you guys make of that, are we going to witness Nasri-gate all over again? Time will tell. England-Spain is the game to watch today! Promises to be a cracker! 7 more days before proper football returns to our screens. When preparing to write this post, I realised four days in football is quite “more than four days in reality” but good thing is those four days that seemed like a fortnight are up, as Arsenal come up against Greek champions Olympiacos Piraeus at the Emirates in the Champions League tonight. Last time out, we were minutes away from snatching all three points at Borussia Dortmund and we’ve gone on to win two matches from three since then with the backline improving steadily from three goals conceded at Blackburn Rovers to none on Saturday against Bolton. That improvement will come under real scrutiny against the Greek visitors with news that Laurent Koscielny will miss the game with a slight injury. That would see Per Mertesacker likely being partnered at the back by Alex Song. Kozzer’s not the only one out of tonight’s match though. Walcott hasn’t recovered well enough from the knee injury picked up against Bolton to feature tonight and Gervinho has also been ruled out of the encounter. Both attackers though, along with Kozzer, should be back in contention to face the sillywhites on Sunday. Arsène will also serve the last of his two match touchline ban from UEFA leaving Pat Rice with the chance to manage once again; and hopefully get a win under his belt while le Professeur has to watch on from the Directors’ Box. In Olympiacos, we come up against Kevin Mirallas, a striker who has quite a good return on goals on the domestic front. There’s also experienced Swedish defender Olof Mellberg who coincidentally scored the first competitive goal at the Emirates while with Aston Villa. For us, it will be the Champions League home debut of Mikel Arteta and he will likely have Aaron Ramsey and Emmanuel Frimpong with him in midfield while Andrey Arshavin looks set to start on the flanks in the absence of Gerv and Walcott. Second person to be on the flanks behind in-form Robin van Persie is anybody’s guess really with one of Rosicky, AOC and Park gunning for a start, just as starting Andre Santos at left back and pushing Kieran Gibbs forward remains an option. Predicted line-up: Szczesny; Sagna, Song, Mertesacker, Gibbs; Ramsey, Frimpong, Arteta; Arshavin, Rosicky, van Persie. I’d rather have Song drafted to CB than endure 90 mins (if he lasts that long) of Djourou craze. Whatever happened to the confident/calm defender that ruled our back line early last season? Only God knows. To “off field” issues, Wenger believes two years is quite an a lot of time in football, so for RvP to not be in a rush to renew his contract isn’t such an issue. He also quelled the hype surrounding the run up to his 15th anniversary as manager of Arsenal coming up on Saturday, stating he “is not one for anniversaries”. Not one for such he may be, but we’d certainly would love for the matches before and after October 1st to be won, just to make it a sweeter 15th anniversary for him and more importantly pick up from where we left off against Shrewsbury and Bolton… winning! There is a game to be won tonight though, anything less than three points and the press will be on our case again. Not like we care or anything; it’s just amazing how no one seems to be bothered when almighty Man City were outplayed by and lost to Germany’s 3rd best team, but when Arsenal draw with the Champions, we are in a crisis. Have fun wherever you watch the game from… should be fun. 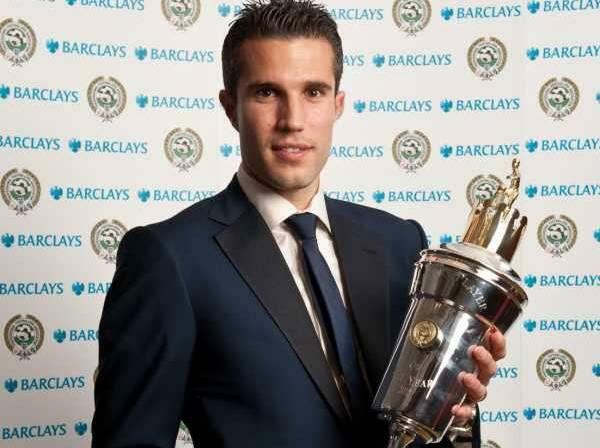 My money is on RVP to start a new century of Arsenal goals and 3 nil to the Arsenal! Any Predictions? Let us know in the comments!